After serving just one year in office, Virginia’s 73rd Governor Ralph Northam (D) may be heading home much earlier than expected as calls for his resignation increase. 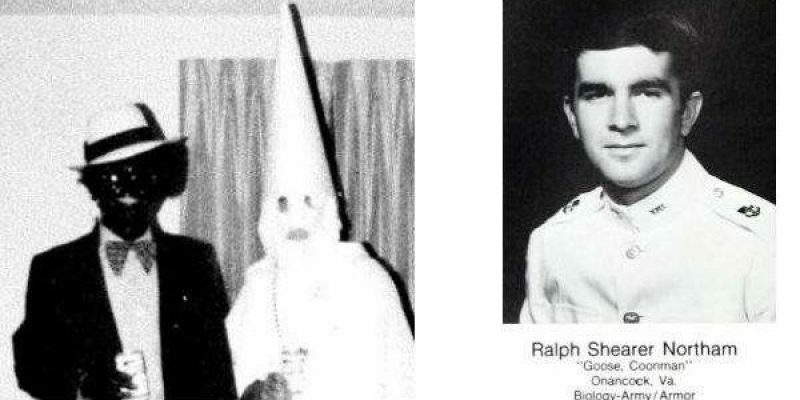 The Governor came under overwhelming scrutiny after his medical school yearbook became public which shows two men in costumes, one in black face and the other in a KKK hood. Northam confirmed his presence in the photo in a public apology. It is not clear which outfit he is in. Such a bombshell should have been uncovered during the campaign. As if that was not bad enough, Ralph Northam already became the target of the pro-life movement after he made comments that appeared to condone post-birth abortion. Between taking the abortion discussion beyond birth and now flooding the news cycle with a Democrat in racist garb, the Democrat Party can not get rid of this guy fast enough. Read the follow-up post: Gov. Northam denies being in racist photo, almost moonwalks at press conference.